Rose and Her Lily: CNN Story on Abortion - Need Testimonies! 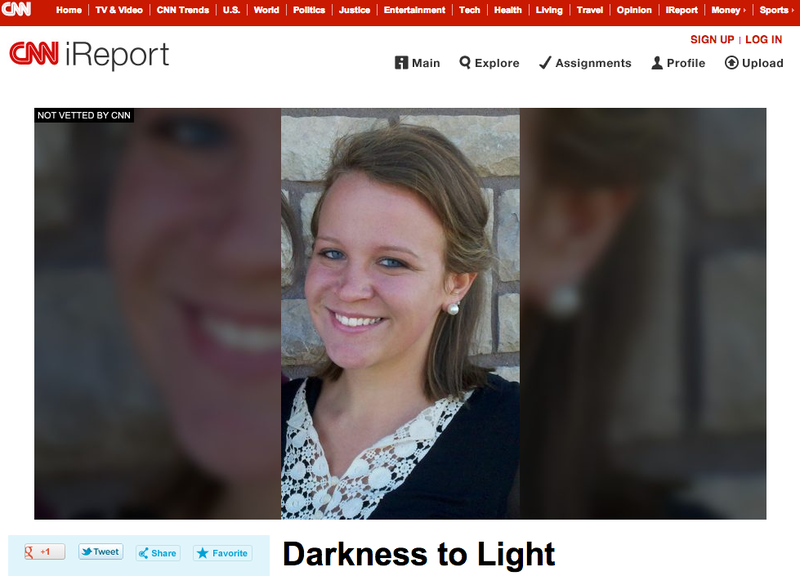 CNN Story on Abortion - Need Testimonies! 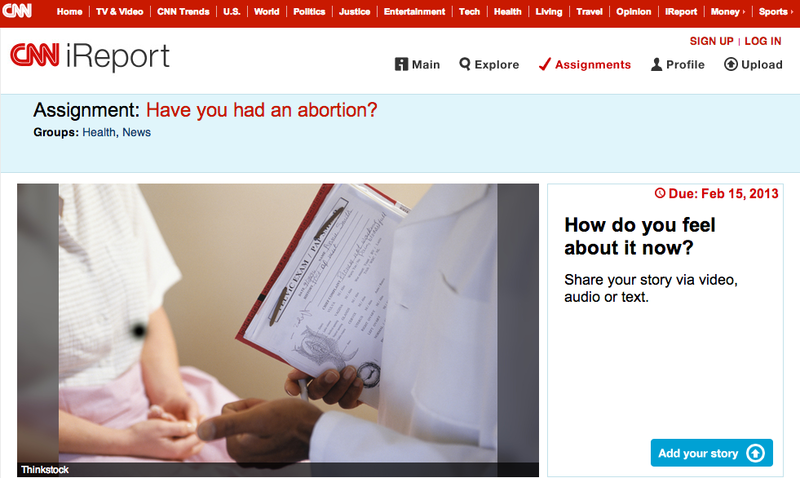 CNN has a special department called iReports and they have posted a new one called Have you had an abortion? Then they asked the question - How do you feel about it now? Forty years ago this year, the Supreme Court decided the historic Roe v. Wade case regarding whether women in the United States are legally permitted to have abortions. The result is that abortion cannot be legally banned, but states can regulate abortion procedures starting at the end of the pregnancy's first trimester. As much as abortion gets debated politically, rarely do we read stories of women who have chosen to terminate a pregnancy. 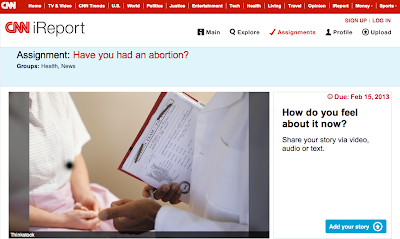 We want to hear from anyone who has had first-hand experience with abortion. How difficult was the decision? How do you feel about it now? How did it change your life? We understand that abortion is a sensitive subject, and all submissions will be treated with discretion. You don’t have to show yourself on camera. But feel free to write your thoughts, record your voice, or make a video telling us about your story. You could be part of a story for CNN.com. Please send your submission by February 15th. Please go to this link – it requires you to register to be able to post your answer (your testimony) to their question. You can do it via text, audio or video. We must take this opportunity to flood the response with testimonies of men and women who regret their abortions! And stories of healing in Jesus Christ. Please take the time to do this, it is very important. We must be a voice for the unborn and for the men and women who live with the scar of abortion. Spread the word. Other Pro-Life readers who are not post-abortive, we need you too! Tell CNN that my story and the stories of the courageous men and women who are sharing need to be told! On each post, you are able to "Recommend" it on facebook, leave a comment and leave feedback for CNN. Take the time to read some of these incredible stories. You can go to this link to read what I submitted.